DESPUÉS DE HABER CONSEGUIDO SACAR ADELANTE SU ANTERIOR TRABAJO "SIEMPRE ALGO QUE DECIR", EL APODADO EL ESE NOS PRESENTA UN NUEVO PROYECTO LLAMADO "SIEMPRE ALGO QUE DECIR - BLOOD MARIACHI" COMO AGRADECIMIENTO A TODAS LAS PERSONAS QUE LE SIGUEN DESDE SIEMPRE FUERA DE ESPAÑA, SOBRE TODO A SUS SEGUIDORES DE MÉXICO. PARA ELLO SE HA UNIDO A UN AMIGO Y PRODUCTOR MEXICANO LLAMADO DOBLE ELE, QUE LE HA DADO UNA VUELTA DE ROSCA A LOS 19 CORTES DEL TRABAJO INYECTÁNDOLE OTRO ESTILO DIFERENTE. 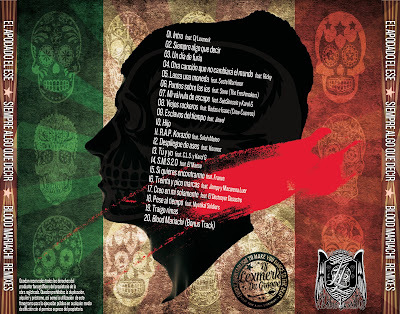 LOS SCRATCHES Y ARREGLOS DEL TRABAJO HAN SIDO REALIZADOS POR EL HABITUAL DJ LEXMERK. TODOS LOS CORTES HAN SIDO MEZCLADOS Y MASTERIZADOS POR LS!PRODS EN 69ESCALONES ESTUDIO (MADRID). 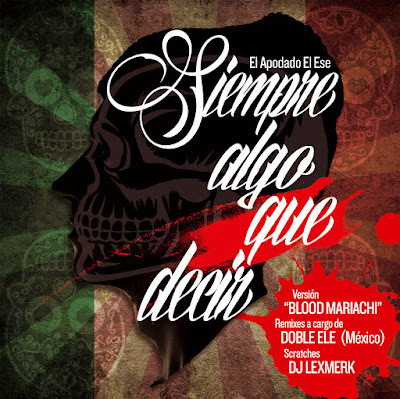 COMO ALGO EXCLUSIVO EN ESTE TRABAJO, EL APODADO EL ESE HA INCLUIDO UN TEMA INÉDITO QUE DA TITULO AL PROYECTO "BLOOD MARIACHI".